Indonesia is ideal for surfing all year round, although the winds and waves shift from season to season. June to August usually produces the largest swells. Some of the best waves are within easy reach off Bali, but other rewarding destinations are found on dozens of islands, including Java, Lombok, and Sumatra. Some of these destinations are extremely remote and require some work. Bali was the first place to feel Indonesia’s international surfing craze. Now, avid surfers trek to Nias island, East and West Java, Sumba, and Sumbawa, just to name a few of the top surfing destinations. The waters around Sulawesi and Kalimantan are sheltered from the swells and are better for underwater pleasures. Ocean swells are generated from the poles and Indonesia is the first land to break the waves from the South Pole. For this reason, some of the best waves in the world pound the southern shores of Indonesia. Waves in excess of 10 feet are common in places like Ulu Watu off Bali or G-land off Java. Some areas are cursed with strong shore-hugging currents, which are challenging for beginners and swimmers. Water temperatures are in the mid 70s, but a vest or spring suit can come in handy on windy days. The sun is very strong this close to the equator so lots of protection and rash guards are recommended. Surfers may have to pay a surfboard tax upon arrival. It is arbitrarily applied, but a reality nonetheless. Surfing supplies are available on Bali and surf tours can be arranged through local travel agencies. Not only does Bali have some of the best waves in Indonesia, it also is one of the most interesting islands in Indonesia. Bali is probably the only place in this country where visitors can easily navigate around the island without knowing a word of Indonesian. Bali still lies at the heart of the Indonesian surf experience and is a mandatory stop for first-time visitors. Bali offers 30 top-quality breaks on the southwest and southeast coasts of the island and around the Bukit Peninsula. Some of these breaks, such as Padang Padang and Ulu Watu, are world-class, barreling, reef breaks. Others range from good fun, like the beach-breaks around Kuta and Sanur, to seriously challenging bowl opportunities. The surf in Bali is usually modest in size—most often in the two-six foot range. However, larger waves do occur on some of the exposed reefs. Due to its 180-degree exposure to swells, surfers can always find a manageable surf break on Bali. Because Bali has surf breaks both on its west-facing and east-facing coasts, it is always offshore somewhere on the island on any given day. Given the number of breaks and the quality and consistency of the waves, it is possible to find great surf with small to moderate crowds. With its greater share of the tourist traffic, especially from Australia, the needs of sporting tourists are more obviously catered to in Bali than elsewhere in Indonesia. Good places for surfing in the west monsoon (October to March) are Nusa Dua and Sanur. Between April and September, Kuta Beach usually offers better waves than Sanur. Advanced and serious surfers find Ulu Watu a worthy challenge and a rewarding experience. The best surfing on Java is on both the western and eastern tips of the island. The central coast is beautiful, but sadly lacking in quality surf. Grajagan, East Java: This spot is known as “The Legend” or “G-Land,” which tells you it is special. Located at Plengkung Bay, on the southernmost peninsula of Java, is the renowned Grajagan. “G-Land” was discovered in the 70s by a couple of intrepid surfers on a flight between Jakarta and Bali. The long lines of surf were unmistakable perfection and the discovery that followed is now regarded as the world’s best left-hand breaks. The movie All Down the Line exposed this area to the surfing world. The Quiksilver Pro surfing competition is now an annual event at G-Land. 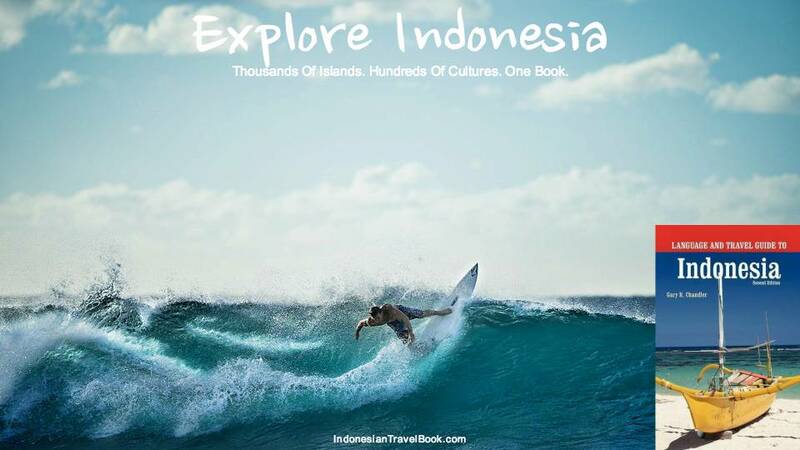 This area is one of the most popular surfing attractions in all of Indonesia. The waves break over a shallow reef and provide a tough test for even the best. For goofy‑foot surfers, this is said to be one of the best waves in the world. G-Land draws surfers from all over the world. They flock to the Javanese jungle each year between March and November, when the swell is generally constant and flat spells are rare. According to experts, it has the longest and fastest left‑hand tube known. The waves here swell up to 12 feet (4 meters), but one slip can be disastrous and medical help is hours away. The western beaches of the Blambangan Peninsula, Java’s easternmost extension, also has attracts surfers. The whole peninsula is a nature reserve with sea turtles nesting on the beaches and good waves. Most surfers reach it by boat from Bali. Batu Keras: A good place for beginners, but still satisfactory for the more advanced is the beach near Batu Keras, west of the local resort of Pangandaran. Small but steady right-handers roll in over a sandy bottom. Boogie boards are fun here, too. Avoid the bay between Batu Keras and the Pangandaran Peninsula, as strong currents run parallel to the shore except in the sheltered cove near the reserve itself. Batu Keras is about an hour’s drive west of Pangandaran village, where there is ample accommodation. Pelabuhan Ratu: Another area becoming increasingly popular with surfers is at Pelabuhan Ratu, a three-hour drive from either Jakarta or Bandung, situated on Java’s southern coast. A few miles from this fisherman’s port going west on a scenic coastal road, there are adequate facilities. But the best place to go to is beyond the 4-star Samudra Beach Hotel, towards the village of Cisolok where beach surroundings are lovely, distinctly tropical, and where the ocean is at its best. Lombok is a good alternative for those looking for nice, quiet beaches and surfing. The best waves on Lombok are found at Desert Point, on the southwest tip. This area can rival Grajagan or Ulu Watu. It offers long rides, with perfect tubes rolling over shallow coral reefs. Desert Point: This remote spot is widely regarded as one of the best and heaviest left-hand barrels in the world. Desert Point is notoriously fickle, though. It lies in a remote mountainous region on the southwest coast of Lombok and is best accessed by boat. Lombok is for those surfers seeking a greater variety of setups, including rights, point breaks, beginner, and intermediate level waves. During the dry season (May – October), the trade winds blow from the southeast, which provide offshore winds for Desert Point as well as many of the left-hand waves on the island. Alternately, the winds in the wet season (November – April), blow from the southwest, which results in more right-hand breaks. The main surf center of Lombok is Kuta Beach, which is located on the eastern side of the southern coast. Many good hotels are nearby, including the three-star Kuta Inda to the luxurious five-star Novotel Coralia. They feature guide services to help you find the best waves at the right times (except for Desert Point which is more easily accessed by surf charter boat, usually en route to Sumbawa). From there, most surf breaks are within an hour’s drive. Desert Point, however, is a half-day away from Kuta Beach. Lombok is best accessed from Bali by ferry, which takes about 2 hours. Ferry cost is minimal, but they do charge extra to transport surfboards. The Mabua Express is a high-speed passenger ferry with comfortable seating and even a movie for the ride over. From the port at Lembar, land transfers are available to Desert Point or Kuta Beach. Another option is flying to Mataram, the largest city on Lombok, from Bali or Singapore. This island has some of the most perfect waves in Indonesia, but you must speak some Indonesian to find your way around. This island, much like neighboring Lombok, is much drier than Bali and other parts of Indonesia. The land is mostly barren with many steep cliffs dropping straight into the sea. The two main surfing areas are West Sumbawa and the Lakey area. West Sumbawa: This area is mostly made up of hollow left-hand breaks that are best accessed by boat charter. The charters will pull up and anchor at the best breaks for easy access to the surf. Lakey: During the dry season (May – October), the trade winds blow from the southeast offering offshore winds to the lefts of west Sumbawa. Alternately, the winds in the wet season (November – April), blow from the southwest which results in more right breaks. Water temperatures are in the mid 70s, but a vest or spring suit can help on windy days. Some hotels and surf camps are located right in front of the main breaks of Lakey Peak and Lakey Pipe, with other waves within walking distance. Most waves are a long paddle or walk across the reef depending on the tide. Reef boots are recommended. Travelers can access Sumbawa from Bali by air or sea. It takes about seven hours by the fast ferry. There also is a surfboard tax of 15,000 rupiah for each board bag. Merpati Airlines operates daily flights from Bali to Bima, Sumbawa. Most of these planes can take surfboards. Upon arrival in Bima, it’s approximately 2.5 hours to Lakey Peak by overland transfer. West Sumbawa is best accessed by surf charter boat. Charters typically depart Bali for a minimum of seven nights. North Sumatra is one of Indonesia’s last surfing frontiers. It consists of several small islands, including the Hinako Islands, Nias, Telos, and two other island groups to the north. North Sumatra enjoys its best surfing season from May to September. Despite Indonesia’s reputation for hollow left-hand breaks, in North Sumatra, right-handers are more common. While Lagundri Bay at Nias has been surfed for decades, it is the more obscure rights like Bawa (a right-hand bowl with 15-footers or more) and Treasure Island (a long, hollow, mechanical right-hander that rolls for 200 meters) that have attracted the attention recently. Nias Island: The professional surfing tour came here in 1994. Nias is home to waves with a right‑hand break, in a region where they are rare. The waves at Nias are fickle and you may need plenty of time to catch them at their best. About 125 kilometers off the western coast of Sumatra, Nias was barely known until a television commercial exposed its charms to Australians. The best time of year to venture here is between June and October. Nias has one of the best right-handers in Indonesia. It is situated at the western end of Lagundri Bay and pumps out 15-foot waves regularly. It also produces hollow, deep waves. Accommodations in the area are basic and affordable. Daily flights are available from Medan and daily ferries are available from Sibolga. Mentawai: The Mentawai Islands are about 100 kilometers off of the west coast of Sumatra. They consist of four main islands with many smaller islands scattered throughout. From north to south, the main islands are Siberut, Sipora, North Pagi, and South Pagi. These islands block most swells from reaching the mainland on Sumatra, but they offer some of the most perfect surf in the world. Access to the islands is by sea only with regular ferries to the main trading ports. The best way to access the surf is by charter boat. The best time for surfers to visit is between May and November. Ferries can be accessed in Padang and organized tours can be arranged from there as well. 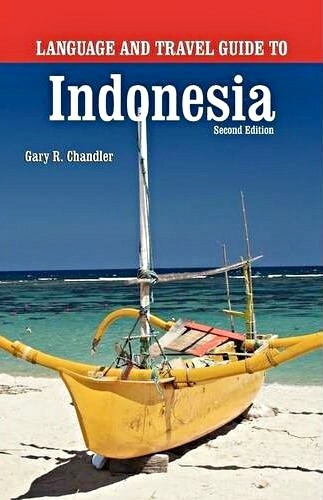 Independent travelers must speak some basic Indonesian. Asu: This island offers world-class left-hand waves, while its neighboring island of Bawa features classic right-handers. Located in the Hinako group of islands, west of Nias.